Nikken has been researching and developing magnetic health and wellness products since it's formation in 1975. One of the original products developed when Nikken was founded were the original magnetic insoles. 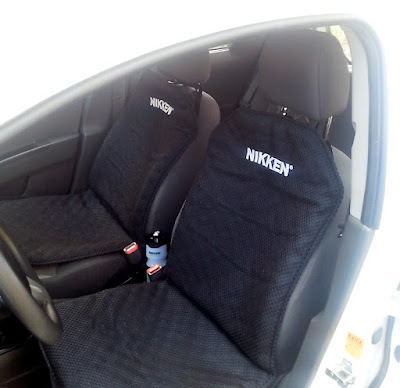 The latest model are known as the Nikken mStrides. These amazing insoles contain patented DynaFlux® Magnetic Technology to increase field complexity through opposing polarities and introducing a degree of dynamic field variability by allowing each magnet a precisely controlled degree of movement as you take each step. Like many of the Nikken wellness products one of the best things about the mStrides is once you have them you can enjoy their passive wellness wherever you go for no effort. Simply cut to size and place in your usual pair of shoes and off you go! Transfer to your walking boots, slippers, dress shoes, or sports shoes as required, or even better buy a second pair. It takes no more effort than that to enjoy the health benefits and you will literally never leave home without them. Massage is a proven, effective treatment for muscle aches and inflammation. A good massage can produce positive results even for those who enjoy excellent health. 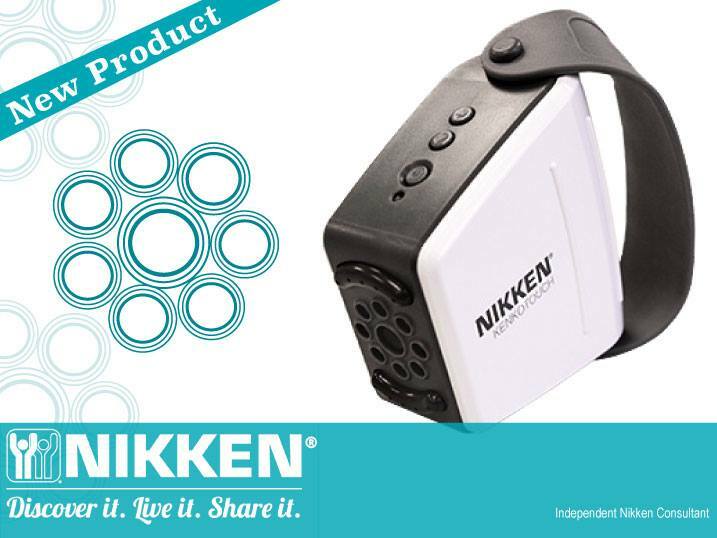 The Nikken electro-magnetic Kenko Touch is a brand new product in Nikken's magnetic therapy range. • Moving nodules that produce a firm, slightly yielding sensation. • Easy to use with three speed settings and automatic shut off. • 1600 Gauss patented DynaFlex Magnetic Technology. Nikken KenkoTouch® solenoid reciprocating massage, patented DynaFlux® Magnetic Technology (U. S. Patent No. 9,265,966), Far-Infrared Technology, Negative-Ion Technology. 3.7 volt DC battery, rechargeable. Recharging cable with USB interface. Ferrite magnets, ceramic-reflective fibers, negative-ion material, steel, light-emitting diodes, polyethylene, medical-grade silicone. I love these seats and take one everywhere with me (it is easy to roll up so you can even take it on an aeroplane - I find it helps with jet lag!). Generally I use one for my office, one on my PC chair, and one in the car. Since using them on journeys in the car I experience less tiredness and back and leg ache. Many users move them around and place them on lounge chairs and sofas, and even sleep on them at night (the design is similar to the mattress pad in the Nikken sleep system giving you a mini sleep system experience!). Nikken products must be purchased through an official outlet. When you click a link from this website you will be taken to my official Nikken shop page. All your products ship to you directly from Nikken’s warehouse and carry official Nikken warranties. Please note: if you buy your Nikken products on a different website (such as eBay or Amazon) they will not be covered under Nikken’s warranty.